Micah Simon is a 6’1” 185 pound wide receiver commit for the BYU football team (Class of 2015). While he played quarterback in high school, he is projected as #3/4 inside receiver for the Cougs this season. Simon prepped at Bishop Dunne Catholic High School, where he led the Falcons to its first Texas Association of Private and Parochial Schools (TAPPS) Division I State Championship in 24 years. As a senior he threw for 2,325 yards and 28 touchdowns while rushing for 861 and six more TDs. 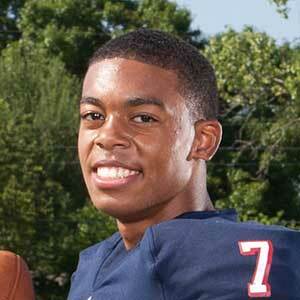 He was named to the TAPPS All-State Division I second Team and the Fort Worth-area private school all-star team. He also played on the basketball team and ran track, recording a 22.98 in the 200m and a 43.14 in the 300m hurdles. He held a 3.7 GPA. Simon was rated 2-stars by Rivals and Scout, and wasn’t rated by ESPN. 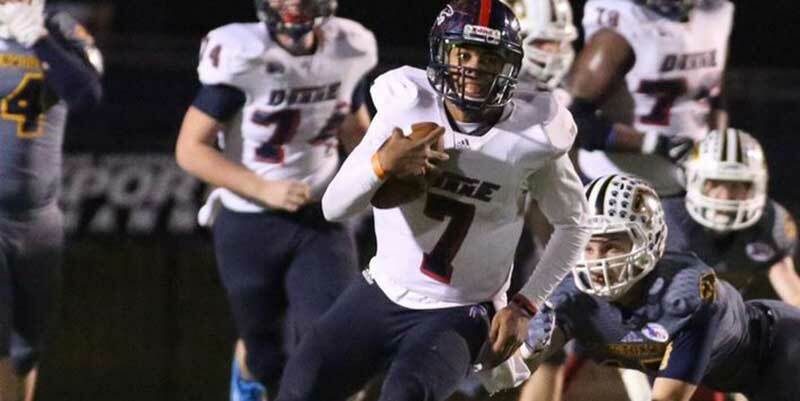 He held scholarship offers from Air Force, BYU, Cornell, Grambling State, and Southern Miss. Simon was also recruited by Davidson, Iowa, Navy, Nebraska, Northwestern, Oklahoma, Oregon, SMU, Stanford, UCLA, and Yale. Simon committed to the Cougars on December 14, 2015. 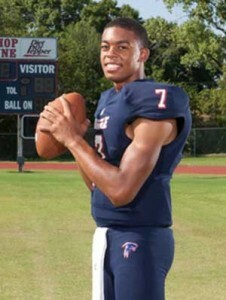 Last Team: Bishop Dunne HT/WT: 6’1”, 185 lbs. Profiles: MaxPreps, HUDL Bench/Squat: 225/415 lbs.